People might think I’m heavily focusing on what goes on in the Belgian bean-to-bar scene. But chocolate is so international, I keep on getting products from every nation in my hands. I found this Chocolate Makers bar in the shop of my favorite artisan coffee roaster Vandekerckhove in Ghent. Chocolate Makers is a bean-to-bar chocolate company based in Amsterdam, The Netherlands. That’s right, fine chocolate is also made in the city which hosts the biggest cocoa harbor in Europe. The company – founded and lead by Rodney Nikkels and Enver Loke – doesn’t simply want to make good chocolate, they also want to contribute to the welfare of the cocoa farmers they work with. Chocolate Makers buys their cocoa beans through direct trade, meaning they are in touch with the farmers themselves, cutting out middle men and wholesalers. They go a lot further than other, for example by building a factory in Peru, in order to create added value to the cocoa beans in the country of origin. Peru seems to be a red line going through my reviews lately. Only when I took out this bar I noticed the origin. At 80%, it should make for an intense flavor. This particular chocolate is made from Criollo beans provided the Awajún Indian tribe, part of the Norandino cooperation. The beans grow along the Cenepa and Rio Santiago rivers in the Northern part of Peru. Chocolate Maker bars are easily recognizable. 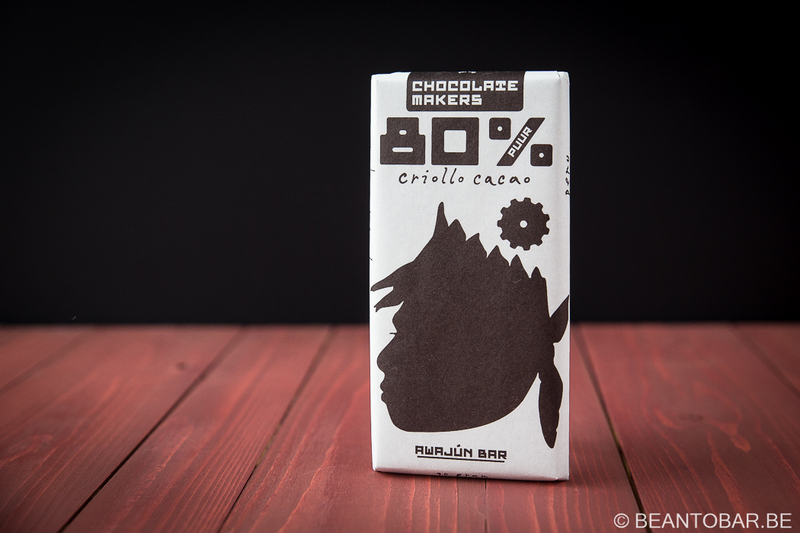 Their bars are wrapped in thick white paper, with a dark drawing related to the specific chocolare origin inside. Here an Indian head is portrayed. The percentage of the bar is calling for attention by its big font. The name of the bar, the origin and the type of cocoa are found all over the wrapper, almost making it a puzzle. You instinctively scan the entire package to find all the info, including some info on the Indians who grew the cocoa and how the chocolate helps them out. A short section about the company is also to be found. The design looks clean and catches the eye. The bar itself is following the same line, a clean bar, scored in rectangular pieces, but with nice rounded scoring lines – adding to a feeling of quality. The bar is quiet thick and generous looking. Taste: Starts with chocolaty, deep roasted nut and coffee tones. Clearly earthy at heart, the chocolate offers a slight liquor sensation while the chocolate melts down. There is a light bitterness at the back of flavor. Some dried yellow fruits thwirl around, adding a twinkle of sweetness and subdued acidity to lavish chocolate flow. When the melt ends, wine like tannins kick in and leave you with a slightly dry mouth. The aftertaste punches through and brings a lot of roasted nut flavors and dark cocoa and persists for a nice long time. 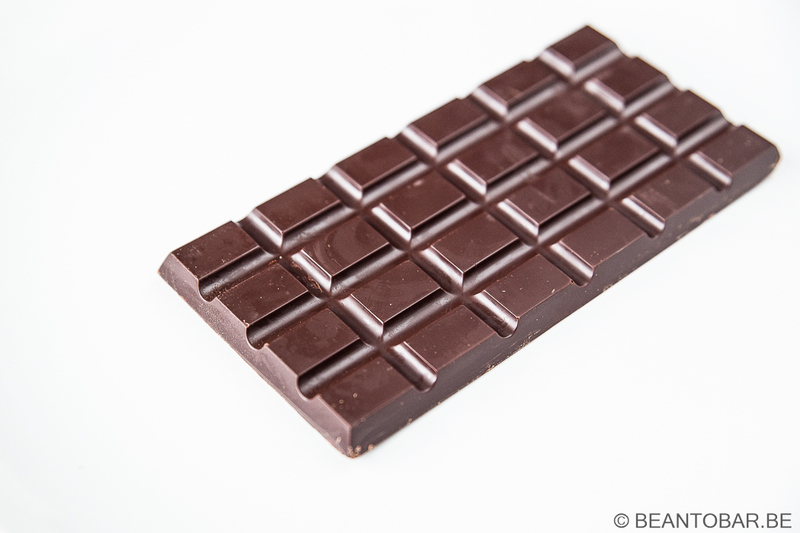 This is a distinct dark bar that will be liked by people who love an earthy, rich chocolate. The flavor isn’t overly complex or evolving, yet the fruity accent keeps the experience enjoyable and adds depth in the otherwise dark aroma. For an 80% bar, the flavor is well controlled and never becomes too much. Given the nice texture and the fact the chocolate isn’t clingy in the mouth, the Chocolate Makers clearly refrained from using to much cocoa butter – an example for many other mass market chocolate brands who produce inedible high percentage bars. While writing this review, I kept nibbling on pieces of the chocolate, meaning it keeps calling me for more. Always a good sign. 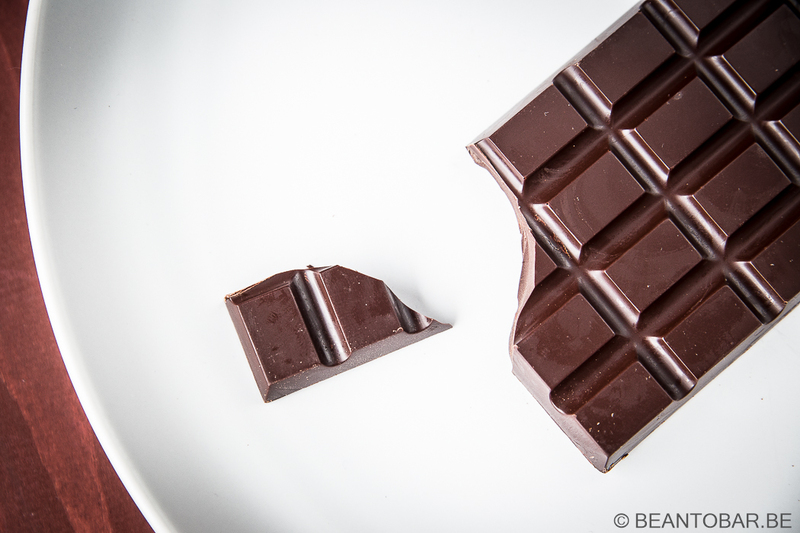 This is a perfect bar to casually enjoy when you crave a piece of quality chocolate!